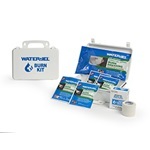 Be prepared for burns at the scene on the job with this heavy duty burn kit that includes Water-Jel's First Responder Series Burn Dressings. 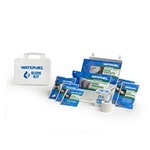 Be prepared for any burn emergency with the most versatile kit that offers different combinations of Burn Dressings and Fire Blankets for large and small burns. Perfect for use in work vehicles or handing on a wall. 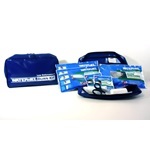 Easy to carry burn kit like the Small Soft-Sided Kit. Same size, but with two hand burn dressing instead of two 4" x16" burn dressings. Only kit sold in a red bag; only kit with hand dressings. 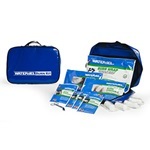 Our universal burn kit. 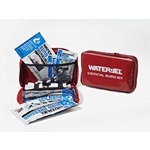 Offers the most popular combination of dressings, Burn Jel packets, plus bandages in a high-impact carry case.